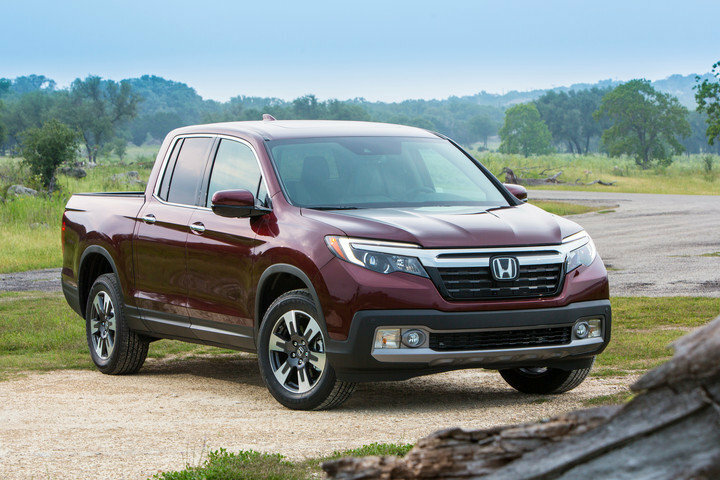 Honda has never done things like the others, and you can clearly see that when you take a look at the 2019 Honda Ridgeline, last year’s North American Truck of the Year. The Honda Ridgeline is a truck done differently. With its scratch-resistant case, double-hatchback tailgate and lockable trunk integrated into the body, the 2019 Ridgeline makes versatility an obsession. Whether working in the field or playing in the woods, the Honda Ridgeline is ready to take you anywhere. Available from $ 40,790 at Halton Honda, the 2019 Honda Ridgeline uses the same engine, regardless of the version. All Ridgeline drivers get a 3.5-liter, direct injection, 24-valve i-VTEC V6 engine. This translates into 280 horsepower as well as 262 lb-ft of torque. Thanks to this long-proven Honda engine, the 2019 Ridgeline has a towing capacity of 5,000 pounds. Add to that a standard all-wheel drive and you end up with a rather rugged truck that will be there for you regardless of the job that needs to be done. Despite its amazing capabilities, the Honda Ridgeline also stands out from its competitors with a fuel economy rating that will have you forgetting that you are driving a truck. The 2019 Ridgeline indeed has an average fuel economy rating of 12.8 L/100 km in the city and 9.5 L/100 km on the highway. Regardless of the version, the Honda Ridgeline is equipped with a six-speed automatic transmission. At Halton Honda, the 2019 Ridgeline comes in four distinct variants for the best possible customization, and to make sure that you find the right vehicle for your needs. Whether you opt for the $ 40,790 Sport Edition, the $ 43,790 EX-L, the $ 48,290 Touring or the $ 49,790 Black Edition, there is a Honda Ridgeline for everyone. With its 18-inch black alloy wheels, blackened window contours and a built-in sound system on the rear bed, the Ridgeline Black Edition will make heads turn this summer, and make your BBQ a resounding success. Want to learn more about Honda Ridgeline and what it can do? Come see us today at Halton Honda! It will be a pleasure for us to answer your questions!